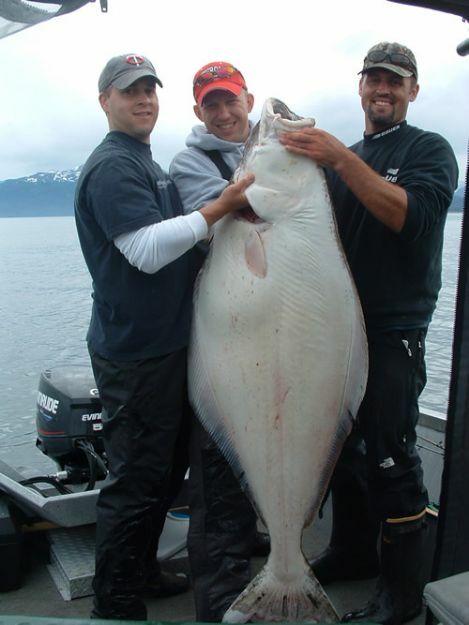 The ocean waters that surround the Kenai Peninsula are world renowned for Alaska Halibut Fishing trips. 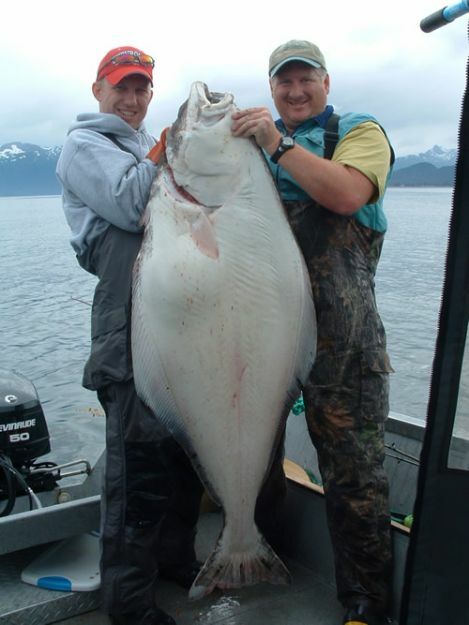 The largest sport fish in the North Pacific, Alaskan Halibut, can weigh as much as 900 pounds. 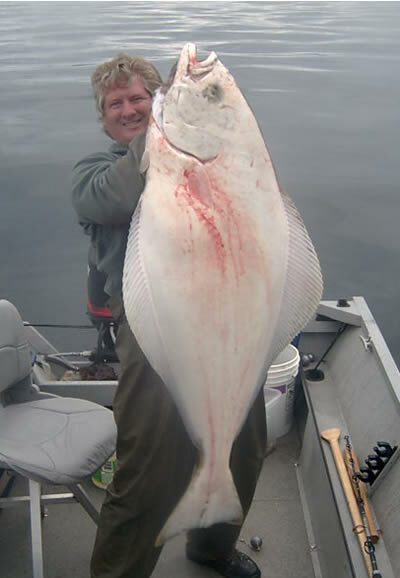 Every summer, eager anglers bring in mighty halibut weighing 300 to 400 pounds, and almost everyone that lives here personally knows someone that has caught a 200+ pound halibut--in many cases themselves! 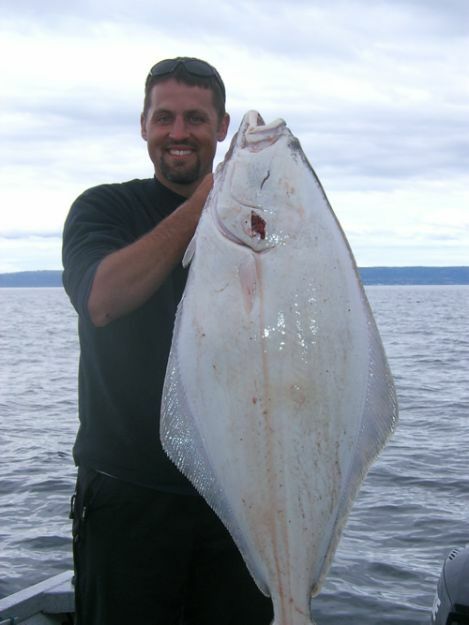 Choose from Halibut fishing on either the larger "Party" boats ranging up to 50~60 feet in length, or "Six Pack" boats ranging from 25~30 feet in length, operating out of the scenic waters surrounding the Kenai Peninsula. One important part of a successful fishing trip is the degree of change that occurs from the daily high tides to the low tides that causes some strong currents the fishermen must deal with. 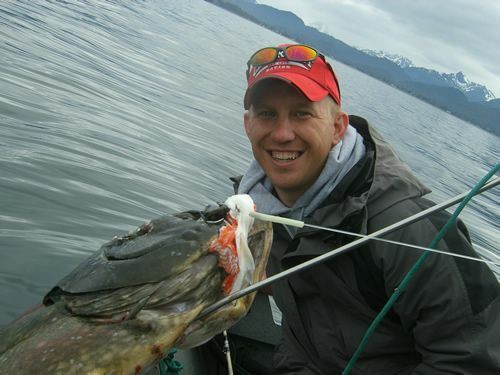 During a halibut fishing trip, fishing is more productive when there is a small swing in tides resulting from the least difference between the mean high tides and the mean low tides. Although halibut are caught during all forms of tide shifts, this is the most preferable scenario. Checking the Tide Predictions before you plan your trip is always a good idea. Homer --Halibut Fishing Capital of the World, located 70 miles south of Soldotna on Kachemak Bay. Seward --A variety of fish for saltwater anglers, located 90 miles north of Soldotna on Resurrection Bay. 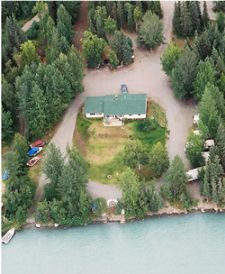 Deep Creek/Ninilchik --Quick access to Cook Inlet's productive Halibut fishing grounds, located just 40 miles south of Soldotna. Whatever your choice, you're sure to have a great day on the water when you book with us at Kenai Riverfront! We fish these waters ourselves, we've lived here a long time, and we know what it takes to make a great trip on the water.